Mention biodiversity and almost reflexively we think green. We visualise the green of forest and grassland, the verdant stretches of farmland and the myriad hues of plant and animal life. But we also need to be fixed upon blue because the oceans and seas that cover more than two-thirds of our planet are home to critical ecosystems, the biggest of our global commons. And the blue biodiversity is the one we have devastated more than any other. Persistent pollution from chemicals, overfishing—80 per cent of fish stocks are said to be fully or overexploited—and higher levels of carbon dioxide in the atmosphere have degraded coastal and marine biodiversity to unprecedented levels, threatening the livelihoods of 500 million people who depend on the seas and the health of over a billion people who get their main source of protein from the oceans and seas. This vast expanse of blue also harbours ecosystems such as coral reefs that nourish as much life as our richest rainforests. But it’s not as if the world does not understand the importance of biodiversity for human well-being. The Convention on Biological Diversity (CBD), which grew out of the epochal Rio Earth Summit of 1992, was established as a legally binding pact to arrest a precipitous decline in biodiversity. CBD brings together 193 signatories or Parties as they are called (192 nations and the European Union) and in 2002 it undertook to “significantly reduce” biodiversity loss in a decade. However, a 2010 review tracking progress on this target showed the deterioration was accelerating. The study published in Science in May 2010 reported that most indicators of the state of biodiversity (covering trends in species population, extinction risk, habitat extent and condition) showed decline while indicators of pressures on biodiversity (resource consumption, invasive alien species, nitrogen pollution, overexploitation) had risen. As a response, the last Conference of Parties—it meets biannually—in Nagoya, Japan, decided on a set of new targets, known as the Aichi Targets (see ‘Mission sustainability’) framed under the Strategic Goals (2011-2020), to arrest further decline. There are five such goals, the primary one being to “address the underlying causes of loss by mainstreaming biodiversity across government and society”. But none of these targets are binding. Countries are allowed wide latitude to frame their own policies and options under “flexible frameworks”. CBD does not have the power to pull up countries much less impose penalties for not complying with their commitments. Although CoP is expected to review implementation of the Convention, analysts point out that any breach of it is never brought up. For the parties, the stock-taking this month will underscore yet again the urgency of meeting their commitments. There isn’t much time left. Three of the Aichi Targets kick in 2015 and at least one of these on reducing the anthropogenic pressure on coral reefs is intended to meet in part the strategic goal of reducing the direct pressures on biodiversity. 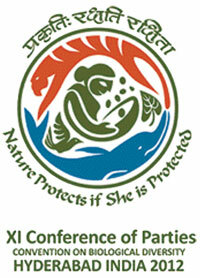 The slogan for the Hyderabad meetings—Prakruthi: Rakshathi Rakshitha which is Sanskrit for “nature protects if she is protected”— is a reinforcing message that governments have to shake off their policy paralysis which was clearly evident at the Rio+20 UN conference on sustainable development in June this year. 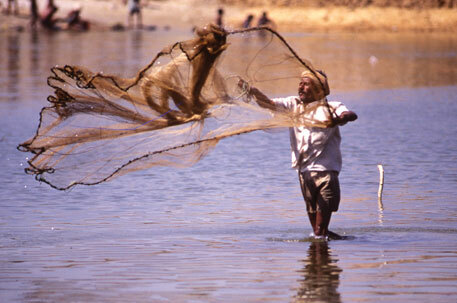 Top on the agenda of the Hyderabad conference is saving coastal and marine ecosystems. Twenty years ago, the World Summit on Sustainable Development in Rio had set 2012 as the target year for a number of critical marine commitments: elimination of destructive fishing practices, setting up marine protection areas, time/area closures to safeguard nursery grounds, proper planning of coastal land use and integration of marine and coastal areas management into key sectors. These commitments are far from being met. Marine protected areas account for just over one per cent of the ocean surface compared with nearly 15 per cent on land. Instead, as CBD notes, “fisheries that have fed communities for centuries have been depleted in a few years by huge, sonar-guided ships using nets big enough to swallow a dozen jumbo jets at a time”. The emphasis as such will be on protection of habitats of importance for threatened, endangered or declining species, and on factors that may change the biological or ecological processes affecting such species. Proposals on the table include revised (voluntary) guidelines for considering biodiversity in strategic environmental assessments in marine and coastal areas and suggest building on the FAO guidelines for the management of deep-sea fisheries in the high seas. 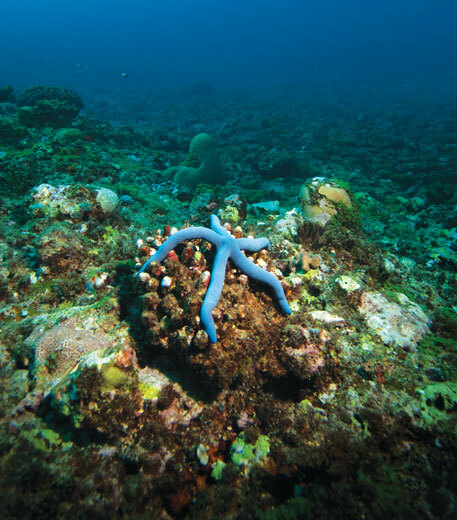 Even for the scientific criteria for identifying “ecologically or biologically significant areas” it says the FAO criteria for “vulnerable marine ecosystems” may be relevant. The main challenge is the lack of data on this sector. Therefore, “to increase the very limited knowledge available on the impacts of a particular activity,” the agenda paper suggests that countries allow activity on a very small scale with stringent conditions for monitoring and surveillance, so that these provide better information for a more complete assessment of the impact at larger scales. But activists fighting for the protection of biodiversity in the world’s largest commons of the high seas know that the biodiversity convention has words but no bite. It can at best suggest guiding principles for assessment of damage to marine biodiversity and urge governments to declare more ocean areas as protected. At the Rio+20 conference, held not so long ago, commercial interests in exploiting the high seas, defeated the proposed international convention for safeguarding and regulating the high seas. At CBD they hope moral pressure and the some promise of money could do some trick, small as it may be. Access and benefits to whom? Marine, however, is just one of the pressing issues before CoP-11. Meeting two years after the parties agreed in Japan on the landmark Nagoya Protocol on Access to Genetic Resources and the Fair and Equitable Sharing of Benefits arising from their Utilisation, CBD has to find ways of hastening implementation of this protocol which is yet to come into force. So far, 92 countries have signed the protocol but just five have ratified it; at least 50 instruments of ratification are necessary before it can be made operational. The Nagoya Protocol sets in place the third pillar of CBD whose main goals are conservation of biodiversity, its sustainable use and the fair and equitable sharing of benefits arising from the use of genetic resources or access and benefit sharing (ABS) for short. The ABS protocol has been hard fought by indigeous and farmer right activists. They want the benefits of biodiversity to go to the rightful owners of knowledge and resource. But getting the protocol is just one small step. Its ratification is another. More importantly, the protocol demands that countries must take enabling national action to implement the provisions of the protocol. This is easier said than done, as countries like India, are finding (see ‘A bill for biodiversity’). Hyderabad will need to discuss how to make the Nagoya Protocol a reality. There is also the meeting of parties (MoP) on the Cartagena Protocol on Biosafety which is a prelude to CoP-11. Top issues for discussion are regulations related to handling, transport, packaging and identification requirements for living modified organisms (LMOs) and to unintentional trans-boundary movements and emergency measures, both critical to ensure that no contamination of genetic biodiversity takes place. What is worrying is the increasing incidence of contamination worldwide. The GM Contamination Register lists 366 known contamination cases and illegal releases of LMOs since 2005 when the database was first set up. This year alone, 24 individual cases have been recorded in Asia, Africa and Europe, and many of these involve unapproved LMOs. 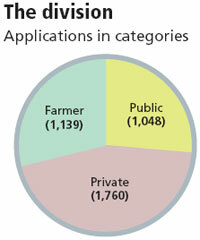 The data is compiled from public reports by Greenpeace and GeneWatch UK. Although Article 17 of the Cartagena Protocol spells out what Parties must do when contamination happens, very few, just nine, have reported receiving information of unintentional trans-boundary movements arising from their jurisdiction, while the majority (133) reported that they have never received any such information, during the reporting period of the second national report, says an analysis by the CBD secretariat. Additionally, four Parties reported unintentional introduction of LMOs in their jurisdiction through imports of food or seed. A briefing paper prepared by Third World Network for MoP-6, notes the clear “disjuncture between known cases of unintentional trans- boundary movement and what is notified to Parties. This could be because the source of some contamination may be from non-Parties to the Protocol”. But Parties to the Protocol have also fulfilled their notification obligations. The Hyderabad meeting would have to take a decision that includes the development of tools and guidance that assist Parties to detect and take measures to respond to unintentional releases of LMOs. CoP-11 meets amid the clangour of fresh alarm bells. A flurry of recent reports has revealed that biodiversity—across ecosystems, across species and in their genetic variety—is not faring well at all. In a study titled ‘Biodiversity loss and its impact on humanity’ published in the June 7 issue of Nature, a group of 14 academics said that future loss of species has the potential to reduce plant production just as much as global warming and pollution. In the first study to directly compare biodiversity loss to other environmental stresses, the results underscored the need for better strategies to protect biodiversity. Loss of biological diversity will rank as one of the top five drivers of global change, they warned. In ecosystems where 21 to 40 per cent of the species go extinct, plant growth is expected to decrease by 5-10 per cent, an effect comparable to climate warming, or increased UV radiation from stratospheric ozone loss. But at higher levels of extinction, the impact would be similar to acid deposition on forests, ozone pollution and nutrient pollution. So what’s to be done? CBD executive secretary Braulio Ferreira de Souza Dias, who took charge this year, says he has started discussions with his team and partners on how to put into place mechanism to monitor the Aichi Targets. “The challenge here is to make the indicators implementable. Online reporting systems should be established so that we are not surprised in 2020, but rather that we know well in advance if we will meet the targets or not,” he says in a detailed interview published in the latest CBD newsletter. Other measures have been take at the global level that might stem the loss of biodiversity. In April, after years of wrangling, agreement was reached on setting up the Intergovernmental Platform for Biodiversity and Ecosystem Services (IPBES), a global platform that will regularly assess the state of biodiversity and the essential services they provide to all of us. Experts say IPBES is expected to gain the same scientific authority and policy influence as the Intergovernmental Panel on Climate Change (IPCC) but hopefully without controversies that have dogged it. 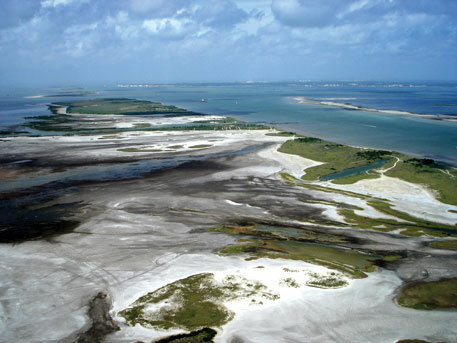 A multidisciplinary expert panel that will pull together dispersed information and analyses on biodiversity and ecosystems is to be formed before the plenary in early 2013. But key issues related to funding, expertise and institutional design are yet to be worked out. And given the history of IPCC, bridging the gap between science and policy-makers will be a formidable challenge. With the focus on mainstreaming biodiversity concerns, some governments are taking measures to integrate biodiversity values into poverty reduction strategies and in the planning processes at the national and local level. India’s Ministry of Environment and Forests (MoEF) says such an exercise is under way in the country but the problem is complex. Special secretary M F Farooqui told Down To Earth that biodiversity has to be mainstreamed by linking it to livelihoods. For instance, the Mahatma Gandhi National Rural Employment Guarantee scheme, the world’s largest social security programme, needs to be dovetailed into the biodiversity conservation agenda, he says. CBD Parties have till 2020 to incorporate biodiversity values into national accounting and reporting systems. However, the underlying problem is that the Aichi Targets are politically difficult because the danger of biodiversity loss seems distant and there are always more pressing developmental concerns that push conservation to the background, leading to the risk of reaching tipping points. The CBD secretariat’s document for CoP-11 warns of this danger. But most of all, achieving the Aichi Targets needs huge infusion of funds. The question is how much. A variety of exercise to get a fix on the money needed is under way and India, along with the UK, has set up a high-level panel (HLP) to provide as robust an assessment as possible of the resources needed to achieve the 20 targets. An estimate will be presented at CoP-11. HLP chair Pavan Sukhdev told Down To Earth, “We have made reasonable estimates from available information and research, and also pointed out the considerable gaps in information which need further research” (see ‘A bill for biodiversity’). So far, the best documented estimates of funding needs have focused on the costs associated with protected area (PA) networks. A CBD paper on resource mobilisation strategy estimates the cost between $20 billion and $50 billion a year. Spending on tropical terrestrial protected area would have to go up from about $1 billion annually to about $13 billion per year, while an additional $6-20 billion a year is needed for marine protected areas. Estimates that also include maintenance of biodiversity for total ecosystem protection in the context of climate change mostly fall in the range of $300-$400 billion per year. 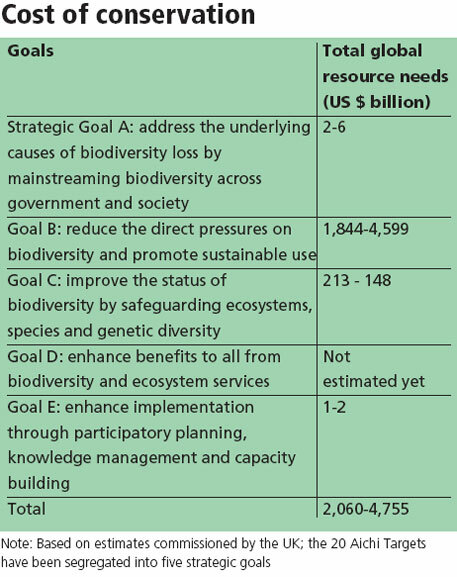 The assessment of funding needs in the Little Biodiversity Finance Book puts the amount of protecting biodiversity to $4-$13 billion annually for an expanded PA network covering 15 per cent of land area and to an estimated $355-$385 billion a year for total ecosystem protection. With such staggering requirements and little global public money on the horizon, CoP-11 is looking at a clutch of innovative proposals submitted by half a dozen countries. There are straws in the wind that business will play a dominant role in this funding strategy with CBD calling for a global partnership on business and biodiversity—a theme that was discussed at Nagoya, too. The strongest signal came two weeks ago from Jeju, South Korea, which hosted the ICUN (International Union for Conservation of Nature) World Conservation Congress from September 6-15. The dominant motif here was corporate sponsorship with big names such as Holcim, Shell, Syngenta, Nestle, Hitachi, POSCO and Hyundai taking centre stage. The emphasis at the 10-day congress was on saving ‘natural capital’ with some speakers emphasising that there is a price to be paid for using nature’s bounty. The Jeju declaration states that efforts to implement innovative financial mechanisms, including (international) payment for ecosystems services, purchase and transfer of development gender and rights based approaches, green public procurement and green tax schemes must be supported. It also says that parties should incorporate the value of natural infrastructure in planning processes and ecosystem management. What’s interesting is the response of CBD chief who was at the congress. Feature service IPS quoted him as saying: “All the progress we have made on the CBD agenda has been very much influenced by the results of discussions at IUCN congresses.” Will CoP-11 agree to make biodiversity a subsidiary of the economy? Will it help to strengthen the web of life on the planet? We need to wait for the outcome. Are we going to protect only those species that give humans obvious benefits? The question will hang heavily over the Conference of Parties (CoP) to the Convention on Biological Diversity (CBD) in Hyderabad. The International Union for Conservation of Nature (IUCN) and the Zoological Society of London (ZSL) brought out a list of the world’s 100 most threatened species in the first week of September during the IUCN World Conservation Congress in South Korea. The list points out that species conservation programmes focus on those having direct benefits to humans. The IUCN report sets a pressing agenda for CBD—arresting loss of biodiversity and preventing extinction of species. In 2002, CBD set 2010 as the deadline for “significantly” bringing down loss of biodiversity and extinction of species. The world missed this deadline with all factors, like loss of habitats and overexploitation, remaining the same or increasing in intensity (see ‘Biodiversity 2050’). In the next four decades, Earth’s natural areas will be limited to grasslands, mountains, ice and arid and semi-arid plains. The message is that by 2050, biodiversity loss will be unprecedented due to land use change, spread of plantation and climate change. Nearly 1.3 million square kilometres of pristine ecosystems will be without any original species. 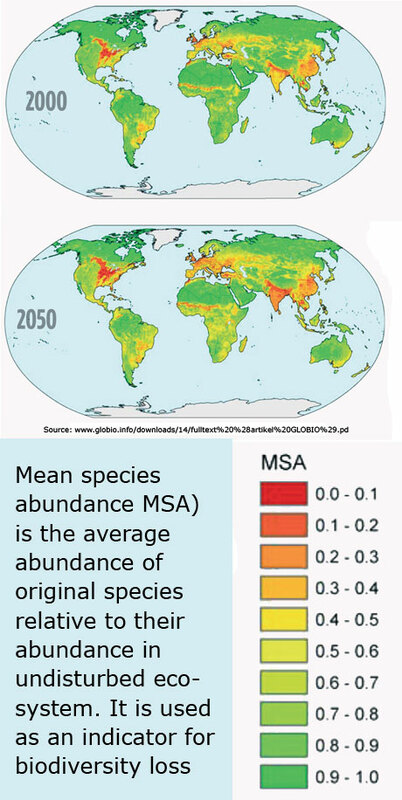 According to GLOBIO 3, a global model that assesses human-induced changes in biodiversity, while in 2000 land use like agriculture and plantation triggered the maximum biodiversity loss, in 2050 climate change will be the key factor (see map: red areas show maximum biodiversity loss). Our ecological footprint has long exceeded Earth’s capacity to sustain. This is leading to faster biodiversity loss. In 2006, the human ecological footprint exceeded the biological capacity by 40 per cent. In 2002, it was just 20 per cent extra. In 2010, during CoP-10 in Japan, all countries admitted that they had been unable to meet the targets. Most countries reported that several species decline in their own territories. So, the new deadline of 2020 came into existence to reduce habitat loss by 50 per cent or less in prevention of species extinction. This is one of the 20 new targets, known as the Aichi Targets, agreed upon by parties to CBD. In contrast to IUCN report’s articulation, CBD’s argument is that biodiversity and ecosystem conservation are not getting the right attention because countries are not aware of their real values. Going by the second Aichi Target, lack of valuation of biodiversity and its integration to national policies have been the reasons for biodiversity loss. This target mandates that by 2020, biodiversity values should be reflected in national and local policies including national accounting and reporting systems. 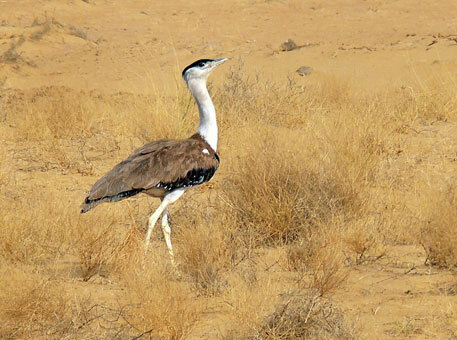 In the ICUN Conservation Congress, the 8,000-odd participating scientists and conservationists agreed that the donors and conservation movements tilted support in favour of species whose services to humans have been quantified. “Whilst monetising nature remains a worthwhile necessity for conservationists, the wider value of species on the brink of extinction should not be disregarded,” says the IUCN-ZSL report. In early 2005 when an agreement was signed between India’s leading seed company and two agriculture universities, it was heralded as a breakthrough in genetically engineered food crops in the country. Bt brinjal is a suite of transgenic brinjals (also called eggplant) created by inserting a crystal protein gene (Cry1Ac) from the soil bacterium Bacillus thuringiensis. The company was Maharashtra Hybrid Seeds Company, better known as Mahyco, and the universities were University of Agricultural Sciences (UAS) in Dharwad and Tamil Nadu Agricultural University (TNAU) in Coimbatore. The public-private partnership was kicked off with a “sublicense agreement” between Mahyco, which is 26 per cent owned by agro-biotech giant Monsanto, and UAS-Dharwad and a material transfer agreement with TNAU. 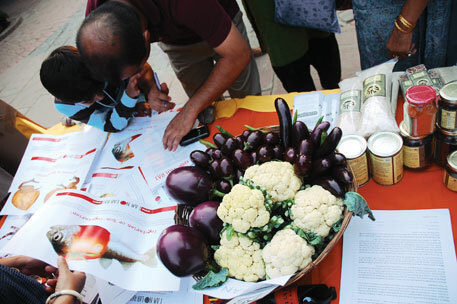 Under the agreements, Mahyco provided the universities with finished or semi-finished domestic GM brinjals to develop insect-tolerant varieties. The universities, which supplied their germplasm to Mahyco, were allowed to further develop the licensed domestic brinjal products to make them suitable for use in their states for subsequent distribution to farmers. However, Mahyco retained intellectual property rights on GM brinjal, stating that “under no circumstance shall the licensed domestic eggplant products be used as parental lines for purposes of production of hybrids”. Mahyco, along with the universities, accessed brinjal varieties from Karnataka and Tamil Nadu without informing the state biodiversity boards. The varieties accessed in Karnataka were malpur, majari gota, kudachi, udupi, 112 GO and rabkavi, while those from Tamil Nadu were MDU I, PLR I, KKM-1 and CO2. Five years later, these agreements were scrutinised and Mahyco became India’s first commercial entity to be accused of bio-piracy, or misappropriation, of local germplasm. Section 7 of the Biological Diversity Act (BDA) states that no person or corporate body of Indian origin can “obtain any biological source for commercial utilisation or bio-survey and bio-utilisation for commercial utilisation except after giving prior intimation to the state biodiversity board”. The irregularity was brought to the notice of the Karnataka Biodiversity Board (KBB) in February 2010 by Environment Support Group (ESG), a charitable trust in Bengaluru. 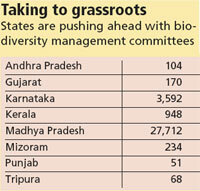 ESG’s complaint said the agencies accessed at least 10 brinjal varieties from Karnataka and Tamil Nadu without seeking prior consent of the National Biodiversity Authority (NBA) and state biodiversity boards. As per the law, it is mandatory to take prior approval from the community that has been protecting local varieties being accessed. If the communities agree, benefits must accrue to them under the access and benefit-sharing protocol. Leo F Saldanha of ESG says, “Such a rigorous process of appraisal is mandatory to protect biodiversity loss.” No such protocol was followed in the case of Bt brinjal. Abhiram Seth has learned to take the controversies—and there are quite a few—and the ironies surrounding the cultivation of seaweed in Tamil Nadu in his stride. Seth is the managing director of AquAgri Processing, a Delhi-based company he set up in 2008 to buy out Pepsico India Holding’s seaweed business in Tamil Nadu. The seaweed case is most often cited by the National Biodiversity Authority (NBA) to illustrate how benefits flow to local communities from the use of genetic resources. But it is also used by critics to highlight how approval was given by NBA without proper environment impact assessment and without putting in place a monitoring mechanism. Instances of access and benefit sharing (ABS) as they are known in the terminology of the Convention on Biological Diversity (CBD) are not many in India and the seaweed case lends credibility to this concept. Since 2007, Pepsico India and AquaAgri have contributed over Rs 37 lakh to NBA’s National Biodiversity Fund, making it the largest single royalty payment. The fund has Rs 97 lakh, of which royalties account for Rs 43 lakh and application fees make up the rest. Monies in the fund are meant to be used for conservation of biological resources and the socio-economic development of areas rich in biodiversity. The irony, however, is that the biggest inflow of money for benefit-sharing remains unutilised. In an interview in August, Seth told Down To Earth: “It is still stuck in procedure, although we have worked on five plans with NBA.” In July 2010, NBA had said the money was “yet to be ploughed back to the benefit claimers” because of lack of guidelines on how the fund should be utilised. The money is lying idle is because Tamil Nadu is yet to set up biodiversity management committees (BMCs) in areas where AquAgri operates. BMCs are local committees that are the ultimate beneficiaries of benefit-sharing. The biggest irony, however, is that the seaweed operation of Pepsico/AquAgri has nothing to do with accessing local genetic resources; it is contract farming. The project started in 2000 as a corporate social responsibility initiative of Pepsico, says Seth who was earlier executive director (exports) with the US multinational till he quit in 2008. The seaweed (Kappaphycus alvarezii) is grown by the fishing community in Ramanathapuram, Thoothukudi, Pudukottai and Thanjavur districts with technology support from Bhavnagar-based Central Salt and Marine Chemicals Research Institute (CSMCRI) which gets a three per cent fee. So far, 3,000 tonnes have been exported. Seaweed is grown on tethered rafts in the sea—the required area is leased from the Tamil Nadu Port Authority—with planting material also provided by the company. After 45 days, it is harvested, dried and carrageenan is extracted from it. This substance is widely used as a thickening agent in processed foods. How does NBA come into the picture? 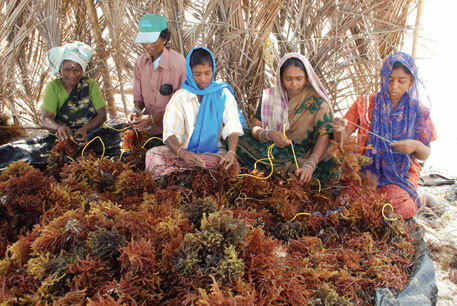 Under the Biodiversity Act of 2002, all seaweed (whether mined or cultivated) was clubbed together by the Commerce Ministry and needed NBA clearance for exports. “For NBA permission we are slapped with a five per cent fee although this is not a biodiversity issue,” says Seth. However, he claims to have no problem with the royalty since the money goes to the community. But there is a more serious concern related to this venture. Scientists have found that Kappaphycus alvarezii—it is alien to the area—has invaded coral reefs in the Gulf of Mannar Marine National Park, a 560 sq km reserve which is the habitat of the rare seacow, dolphin and dozens of coral species. The commercial cultivation of Kappaphycus alvarezii has come under a cloud, although there is no certainty of who is responsible for this invasion by alien species. The needle of suspicion points to CSMCRI which had in 1996 started a project to grow the algae in perforated bags in the open sea. But it still leaves wide the question of NBA’s role. Did it take into account the consequences of growing a non-native alga in the proximity of the marine reserve? What kind of assessment did it make before granting permission? Does it have a monitoring mechanism for such ventures? 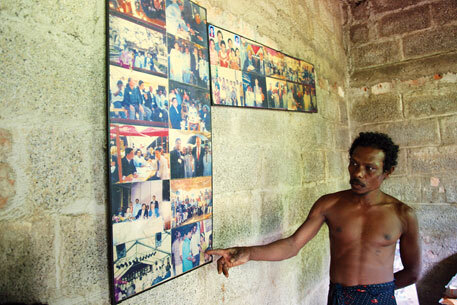 Kuttimathan Kani’s tiny, unfinished house has a few laminated photos hung on one of its walls. In those pictures, he is standing next to a dignitary. The photos were taken in Johannesburg during the 2002 Earth Summit, says the Kani tribesman. “There, I was asked to welcome the prime minister of Canada,” adds Kuttimathan. A mere “I’m from India” is insufficient to describe Kuttimathan’s realities. He lives in a village, Chonampara, in the reserved forests of Agasthya Hills, a part of the southern Western Ghats in Kerala’s Thiruvananthapuram district. Kuttimathan, 49, belongs to one of the poorest tribal communities. The tribe has a population of 25,000 and lives in scattered settlements. The forests of Agasthya Hills are a treasure trove of medicinal plants and the Kanis have a rich traditional knowledge of these resources. They make a living by growing millets, arecanut and rubber, and collect honey and python fat, a remedy for rheumatic pain. 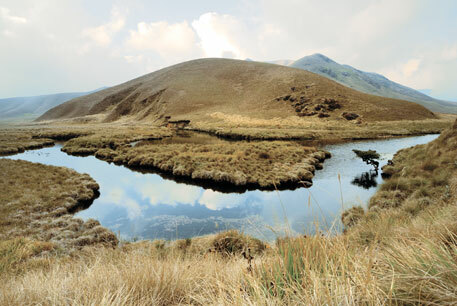 Kuttimathan was taken to the summit by P Pushpangadan, former director of Tropical Botanical Garden and Research Institute (TBGRI) in Thiruvananthapuram. It is an autonomous institute set up by the Kerala government to develop herbal drugs. Pushapangadan was to receive the UN Equator Initiative Award. The award was for a “unique, innovative, successful and sustainable model” of access-benefit-sharing he and his TBGRI team developed with the help of the Kanis. Kuttimathan was the secretary of an all-Kani trust that was formed as part of the benefit-sharing. What led to this benefit-sharing was a drug that could fight fatigue and stress, enhance immunity and protect the liver. TBGRI had developed Jeevani in 1995 after eight years of research. TBGRI shared half of the returns from selling Jeevani with the Kani trust. This was indeed a positive step, considering there was no legislation at that time on access to local resources and benefit-sharing. Despite being highlighted as successful and sustainable, the TBGRI-Kani model could benefit only a few community members. The association between the Kanis and the TBGRI team started in 1987, six years before the Convention on Biological Diversity—which advocates fair and equitable sharing of benefits—came into force. A team led by Pushpangadan and S Rajasekharan, both from Regional Research Laboratory (RRL) in Jammu, visited Agasthya Hills to collect data on plants and tribal people. RRL is one of the laboratories under the Council of Scientific and Industrial Research. Kuttimathan, Mallan Kani and Eachan Kani, all from Chonampara, were the team’s guides. During the survey, Mallan and Kuttimathan told the two scientists that they used to eat fruits of a small plant to remain energetic while wandering in the forests on an empty stomach. The plant was arogyapacha (Trichopus zeylanicus travancoricus), a perennial herb, described as wonder herb due to its rejuvenating qualities. 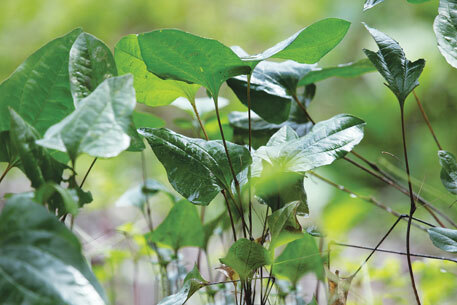 Though the main species, Trichopus zeylanicus, is found in Sri Lanka and Thailand, only the Indian variety is proved to have medicinal qualities. In the subcontinent it grows in the wet forests of southern Western Ghats, falling in Thiruvananthapuram and Tamil Nadu’s Tirunelveli district. Once back at RRL, the team found out that all parts of arogyapacha had therapeutical qualities. “Since its fruit is rare, we validated all the parts of the plant,” recalls Pushpangadan. They found the leaves had the necessary pharmaceutical qualities. “The Kanis had neither used the fruit nor the leaves in their traditional medicines,” says Rajasekharan. The research was shifted from RRL to TBGRI when Pushpangadan took charge as its director in 1990. In 1995, Jeevani was ready. 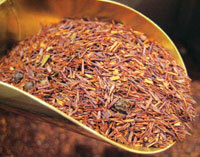 It contained 13 to 15 per cent arogyapacha leaves, besides three other herbs. For manufacturing and marketing, TBGRI called tenders and shortlisted Arya Vaidya Pharmacy of Coimbatore. The following year, TBGRI transferred the technology to develop Jeevani to the pharmacy against a licence fee of Rs 10 lakh and royalties of two per cent at ex-factory sale. TBGRI decided to share half of these returns with the Kanis. Since the community did not have a formal set-up to receive its share, the Kerala Kani Samudaya Kshema Trust was formed in 1997. Mallan was made its president and Kuttimathan the secretary. In 1999, TBGRI transferred Rs 5 lakh to the trust as fixed deposit. “The Rs 5 lakh deposited in the trust fund was the money we scientists decided to forego,” says Rajasekharan. Apart from this, the trust received Rs 1.5 lakh annually as royalty till 2008, Rs 1.5 lakh from Pushpangadan’s award ($30,000) and interests on the fixed deposit. Mallan and Kuttimathan got Rs 20,000 each from the trust fund for providing key information. Eachan Kani got Rs 10,000. TBGRI had appointed Mallan and Kuttimathan consultants in 1993 for Rs 3,000 a month. But both were shown the door when Pushpangadan left TBGRI in 1999. “They told us they do not have money to pay us,” says Mallan. With the interest from the bank, the trust built a community hall and bought a jeep on loan but failed to repay. The bank recovered the debt from the deposit. Later, the vehicle was sold. When the pharmacy started production in 1996, disputes over raw material and ownership of the resources emerged. As part of the benefit-sharing it was envisaged that the Kanis would collect and sell arogyapacha leaves to the pharmacy. But TBGRI had not taken the forest department into confidence. 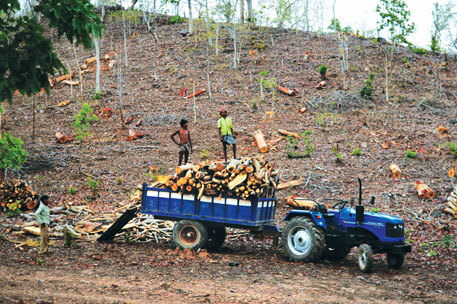 As per laws, the Kanis could collect only minor forest produce and arogyapacha was not one. Unaware, the tribe continued collecting raw material. Traders too moved in, smuggling large quantities of the plant. The forest department raised concerns and included the plant in the list of endangered species. Criminal cases were slapped on the tribal people who tried to sell arogyapacha. “There was a good demand for Jeevani but it could not be met due to lack of raw material,” says A R R Raja former president (finance) of Arya Vaidya Pharmacy. A 75 gm jar of Jeevani was priced at Rs 160. The pharmacy produced 80,965 Jeevani bottles worth Rs 1.29 crore between 1996 and 2009. “It was paying Rs 20 for a kilogramme of arogyapacha leaves. Later, it was ready to offer Rs 100,” says Raja. Some families started cultivating the plant around their settlement, but could not sell the harvest since it was seized at the forest check-posts. “We were forced to buy leaves from traders in Tamil Nadu,” he adds. Throughout the marketing and production of Jeevani, TBGRI was taking the decisions. Consultations were confined to with those from Chonampara. Many people, especially those in the interior settlements, were not even aware of the deal. This led to a divide within the community which was further deepened by the Kerala Institute for Research, Training and Development of Scheduled Castes and Scheduled Tribes, which documents traditional knowledge. The agency criticised TBGRI for selling traditional knowledge to a private agency. The contract between TBGRI and the pharmacy ended in 2003, but it was extended for three years. In 2004, TBGRI formed a business management committee with three experts from outside, two from the Kani trust and two from TBGRI itself. The committee decided to double the licence fee and and royalty for the second agreement (starting 2007). The pharmacy said it would sign the agreement only after ensuring steady flow of raw material. After a trial run of two years, the pharmacy withdrew from the deal in 2008. “The project could have been a success and earned the tribals a permanent source of income if we were assured sustainable supply of leaves,” says P R Krishnakumar, managing director of the pharmacy. Political will was also absent, he adds. The process patent of Jeevani ended in 2008. There were five Indian patents for different research processes based on arogyapacha. Besides Jeevani, TBGRI received patents on an anti-diabetic herbal drug; a herbal sports medicine; and an anti-cancer drug. “We wanted to take international patents for the drugs but the TBGRI governing council rejected the proposal saying there was paucity of funds,” says Pushpangadan. None of the patents refers to the tribe’s name anywhere. “At that time there was confusion whether an informant could be included in the list of inventors for a patent for a scientific process,” says Rajasekharan. TBGRI never applied for a trademark for Jeevani. “The name Jeevani is already in the ayurveda literature,” says Rajasekharan, now head of the ethnomedicine and ethnopharmacology division of TBGRI. In 2000, NutriScience Innovations, a US-based supplier of nutritional and functional food ingredients, run by a group of Keralites, raised a storm by acquiring a trademark on Jeevani. After many controversies it was renamed “Jeevani Jolt 1000”. “When the product patent system came into existence in 2005, I wrote to the then TBGRI head, reminding him of converting the process patent of Jeevani into product patent, but no action was taken,” says Pushpangadan, now vice-president of Amity Institute for Herbal and Biotech Products Development, a private company in Thiruvananthapuram. Both Pushpangadan and Rajasekharan say the present patent regime is inadequate to protect the traditional knowledge of indigenous communities. Whether it is process or product patent, it has a life of 20 years. “For exclusive knowledge of the communities, patents should be in their names. A new mechanism should be evolved in which the communities can enjoy life-long benefits,” says Pushpangadan. The Kani trust is not active anymore. Vinod Kumar Gupta is used to ministers and other VIPs from across the world beating a path to his office and wanting to “see” the unique institution that he has created. Gupta is the man behind the Traditional Knowledge Digital Library (TKDL), a valuable tool in the battle against theft of traditional knowledge. For India, it has proved effective in checking the piracy of ancient wisdom related to medicinal plants in an extremely cost-effective manner. Now other developing countries whose TK is being plundered want to replicate it. TKDL, located in Ghaziabad, on the outskirts of Delhi, is not the easiest of places to find even with a map. And when you do find this internationally recognised institution there is nothing much to see barring some graphic representations of traditional Indian systems of medicine. TKDL is a technology platform. It uses the tools of information technology and a novel classification system to make available the traditional medical knowledge of India to patent offices in the major developed countries so that what was known for centuries is not patented by unscrupulous individuals, companies and research organisations as something they claim to have discovered or invented. The trigger for TKDL was the infamous case related to the patenting of neem extract in Europe to fight fungal disease of plants and another in the US on turmeric as a healing agent. Both these are centuries old practices in India and their patenting in the mid-1990s caused outrage in the country and led to high-profile legal battles which acknowledged the validity of TK. But the victories were hard won. They cost huge amounts of money and took long years to settle—12 in the case of neem. The turmeric patent was challenged by the Council of Scientific and Industrial Research (CSIR) which used an ancient Sanskrit text to show there was prior art in the use of turmeric as a healing agent and was, therefore, not a novel invention. These cases prompted then CSIR director-general of R A Mashelkar to seek institutional remedies for the brazen theft of TK. The digital library is a joint enterprise of CSIR and Department of AYUSH of the Ministry of Health and Family Welfare. Biopiracy or misappropriation of TK is rampant, not just in India but in a host of countries that are rich in ancient lore of healing and the use of plants in food and cosmetics. This treasure trove of knowledge is being plundered by a range of enterprises, from multinationals such as Nestle, Procter & Gamble, Johnson & Johnson, L’Oreal and Avon to domestic companies such as Avesthagen and Lupin and first-time entrepreneurs, for commercial profit by filing wrongful patents on known formulations. 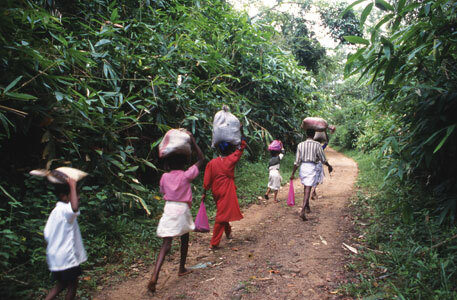 The TK of 110 developing countries is vulnerable to theft and capture. Gupta realised that the drawback with TK documentation was that it lacked a classification system. He, therefore, set about devising a modern classification based on the structure of International Patent Classification for India’s traditional systems of medicine and health: ayurveda, unani, siddha and yoga. This knowledge, found in Sanskrit, Tamil, Arabic, Persian and Urdu texts, are inaccessible and incomprehensible to patent examiners abroad—and even to those in India. The focus was on breaking the language and format barriers by scientifically converting and structuring the available TK on the International Patent Classification (IPC). The novel classification system that was developed, the Traditional Knowledge Resource Classification (TKRC), has resulted in a fundamental reform of IPC by enhancing the TK segment from one subgroup to 207 subgroups and thus enabling effective search and examination process. The knowledge culled from ancient texts are stored on 34 million A4 size pages and translated into five foreign languages. “Now a Sanskrit sloka (verse) can be read in Japanese, English, Spanish, German and French by examiners in international patent offices on their computer screen,” explains Gupta. 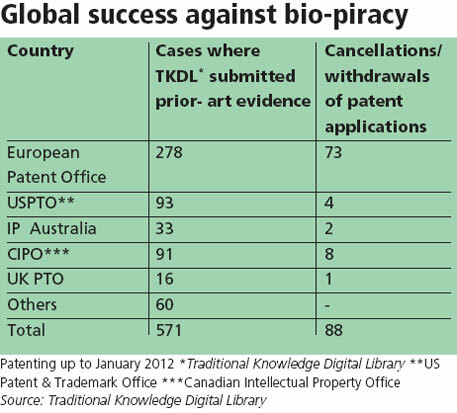 TKDL has signed access and non-disclosure agreements with the Indian and seven global patent offices. All of this required not just high-end technology, but also skills of a high order: people with knowledge of ancient texts, modern medicine and technical terms of foreign languages. The price tag for this unique, proprietary system: Rs 16 crore (around $3 million)—Rs 82 lakh in capital costs and the rest in recurring expenses, mainly salaries. How effective is it? 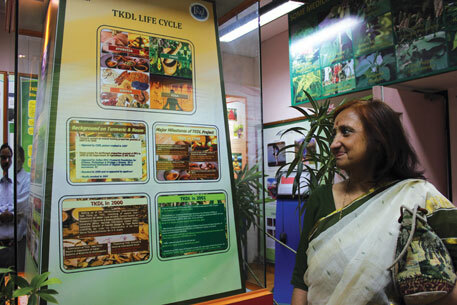 In the last three years TKDL has identified 1,000 cases of biopiracy of India’s TK. In 105 cases patent claims were withdrawn or cancelled by patent offices—decisions that were effected in just 4-5 weeks at zero cost. All that is required is an email to the relevant patent office. This is the biggest benefit for countries such as India which can ill afford the huge legal fees (a minimum $500,000) in fighting wrong patents across the globe. Or the time. For instance, it cost APEDA (Agricultural and Processed Food Products Export Development Authority) seven years and Rs 7.62 crore in legal fees (Rs 5.1 crore to a foreign law firm) to fight malafide intellectual property rights on basmati rice. This does not include the tab for travel and administrative costs which could well have matched the legal expense. Based on this, it would cost the country a whopping $200 billion to defend the 250,000 formulations now listed in the digital library. More significant, claim CSIR officials, is that TKDL is acting as a deterrent. A recent study reveals as much as a 44 per cent decline in patent claims filed on Indian systems of medicine. This is probably what prompted Peru, which has publicly declared its intention of setting up a similar institution, to send its Minister of Foreign Trade to meet Gupta earlier this year. Like India, Peru is a megadiverse country and has been waging an active campaign to protect and preserve its natural resources. 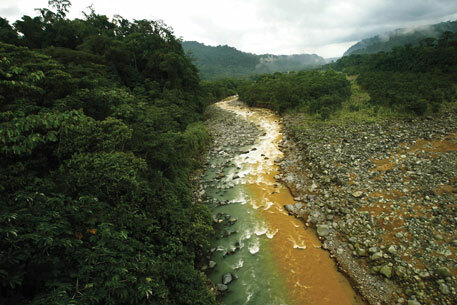 Although its National Commission on Biopiracy is a good watchdog—a senior World Intellectual Property Organization (WIPO) official described the country as a leader in the fight against misappropriation—Peru says it wants an institution that will catalogue its rich biodiversity and determine the manner in which it should be accessed. TKDL is work in progress and will continue to be so for a long time. Apart from the huge collection of ancient texts yet to be tapped, it also plans to access the database of all publicly funded national institutes. Already, it protects about a quarter of a million formulations culled from ancient texts. Its latest addition is yoga postures and the library has videos of the most common exercises. This is a response to the national furore over the increasing number of patents being granted in the West for yoga exercise which practitioners claim. Recognising India’s singular achievement, WIPO and CSIR held, in March 2011, an international conference on using TKDL as a model for protection of TK globally. That meeting drew 33 developing countries eager to have their own versions of this mechanism. According to WIPO, such a mechanism can fuel future innovation and benefit-sharing. There was widespread agreement about the value of TKDLs to protect against misappropriation of TK, as well as their potential in enabling further innovation, such as in the area of public health. The irony is that TKDL’s repository is being ignored at home. The Indian patent office is reported to have allowed several patents that infringed TK and in some instances upheld claims that TKDL had managed to stop or amend abroad! A recent case was a patent awarded to Bengaluru-based Avesthagen for a formulation using jamun and cinnamon, a claim that CSIR had managed to thwart in the European Patent Office. But in the case of the Indian patent, CSIR seems to have been sleeping. Indian farmers have always believed in free use of seeds. They have grown their own seeds and exchanged them with other farmers. They did not subscribe to the concept of owning seeds because they believed seed germplasm was a gift of nature and everybody had a right over it. 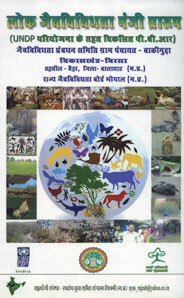 As a result, in-situ conservation of agro-biodiversity received a huge fillip. But in 2001, as a WTO member, India was required to comply with the Trade Related Aspects of the Intellectual Property Rights (TRIP) Agreement and to protect plant varieties either through patents or through a sui generis system. India opted for the latter, formulating a law that was unique in providing as much rights to farmers as to plant breeders. The Protection of Plant Varieties and Farmers’ Rights’ (PPVFR) Act is one of the handful of such laws and confers intellectual property rights through registration of seed varieties. In fact, India is the first country to institute an award to farmers for their efforts in conserving agro- biodiversity. 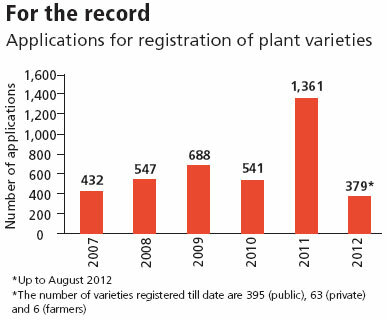 “In 2007-08, we initiated Plant Genome Saviour Recognition Certificates,” says P L Gautam, chairperson of PPVFR Authority. Vrihi, a consortium of farmers, scientists and ecologists, which developed the first non-governmental rice seed bank in India and has conserved over 700 rice varieties, received Plant Genome Saviour Recognition Certificate in 2008-09. But the recognition did not help farmers. Conservation requires land, labour and time. When a farmer invests all this, he must be rewarded monetarily as it would help him invest in resources the next year. “We realised that there was need to incentivise the conservators and decided to give Rs 10 lakh (to each farmer for conserving and breeding a seed variety),” says Gautam. 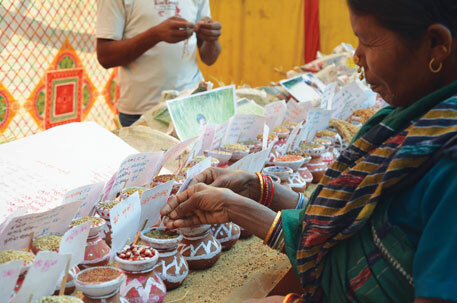 “Registration gives farmers a feeling of ownership towards the seeds and motivates them to take care of the seed varieties,” says Debal Deb, ecologist and founder of Vrihi. 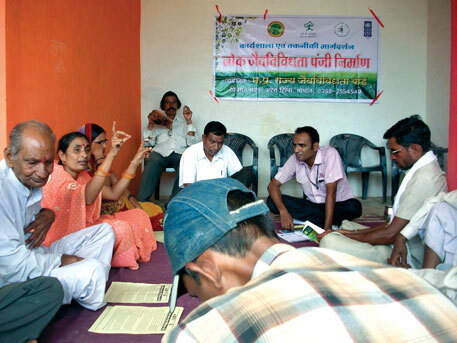 “Besides, it provides farmers validation that development and conservation of seed varieties is a valuable exercise for which they can claim benefits,” says Suman Sahai, member of the working group of PPVFR’S Community Agro- Biodiversity Conservation. In 2007, the National Gene Fund was constituted under the PPVR Act which gave the award money. It started with an initial amount of Rs 50 lakh from the Central government and gets contribution from the money paid by plant breeders as registration and annual fee. At present, the total collection in the fund is Rs 2 crore. With the National Biodiversity Authority, the body responsible for conservation, washing its hands of fundings for agro-biodiversity, the National Gene Fund comes as a relief. But, is awarding a handful of farmers in a country that has 21 agro-ecological zones, 166 original crop plants and 320 species of wild relatives of cultivated plants enough to conserve agro-biodiversity? PPVFR Act allows awards to four farmers in one year. A lot of non-profits and farmers are also undertaking in-situ and ex-situ conservation of indigenous germplasm. The award that financially supports conservation work reaches to few farmers. “The Act says the National Gene Fund should be used to help panchayats felicitate farmers who are conserving traditional varieties of crops. But the authority has not taken the initiative,” complains environmentalist Madhav Gadgil. Gautam thinks the authority is doing enough work by holding workshops, awareness programmes and giving awards to farmers. The idea of awarding farmers is good as it motivates in-situ conservation and farmers recognise the value of their indigenous germplasm, says Deb. But he finds two problems in the present award system. First, the amount is huge. Second, the criteria for selection of farmers for awards is questionable. Instead of giving a large amount to four farmers, Deb says it would be better to distribute it among more farmers. Also, many awards have been given to people who are economically sound. Many more have been given to individuals while the conservation work was done by a community, says Deb. This year, a farmer in West Bengal was given the award for growing a popular variety of rice. 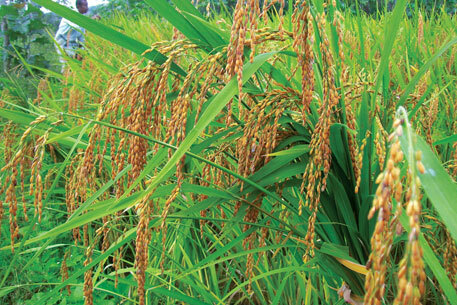 This caused resentment among thousands of other farmers of the region who were also growing this rice variety. “They asked me why they were not the fortunate ones,” he says. There is a need to accept the fact that many farmers who are conserving seed biodiversity are illiterate and do not understand the value of germplasm. They have to be made aware of the importance of their seed bank, says Deb. The authority needs to find people working at the grassroots level, and not award non-profits which have enough money for conservation. While the PPVFR Authority, non-profits and agro-biodiversity conservators have divergent views on the Act, one thing on which all agree is that conservation of traditional plant varieties and the Indian gene pool cannot be possible without the government realising that germplasm is essential for our future survival. In the mad rush to promote hybrids, India’s great strength, its genetic wealth, is being compromised.